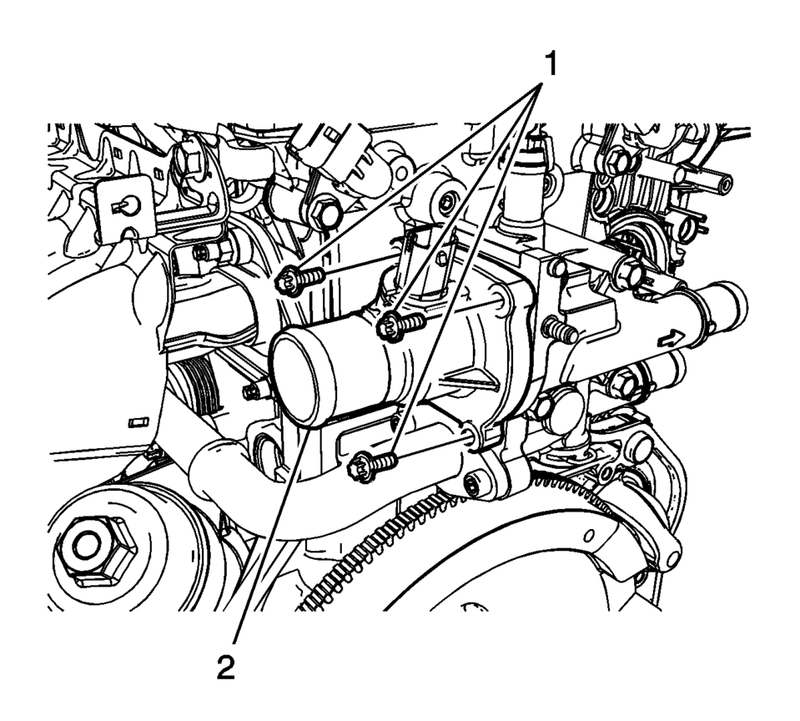 Disconnect the engine wiring harness connector (1) and retainers (2). Remove the wiring harness bracket nut (3) and bracket (4). 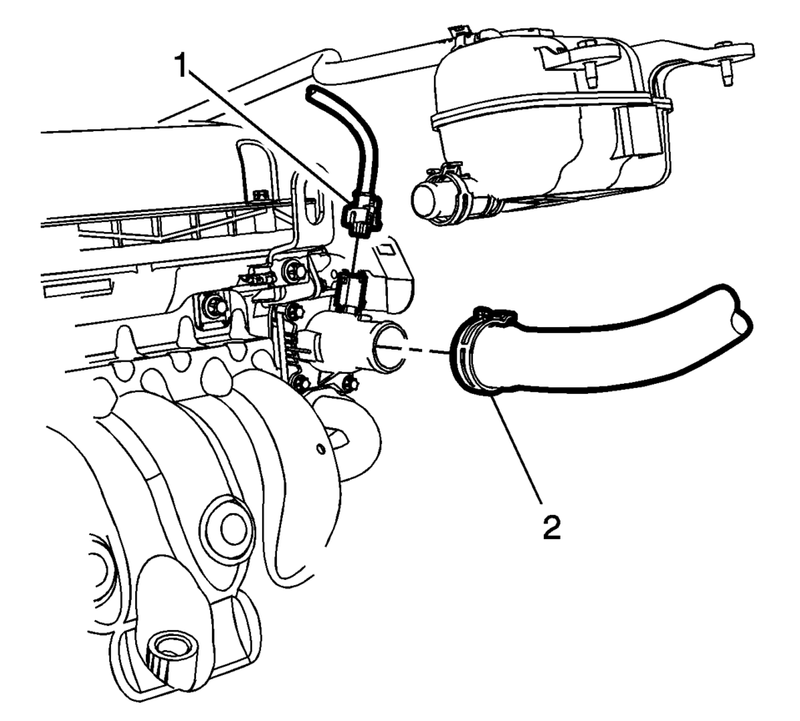 If equipped, disconnect the thermostat heating element sensor (1) and remove the radiator inlet hose (2). Remove the thermostat housing retaining bolts (1). 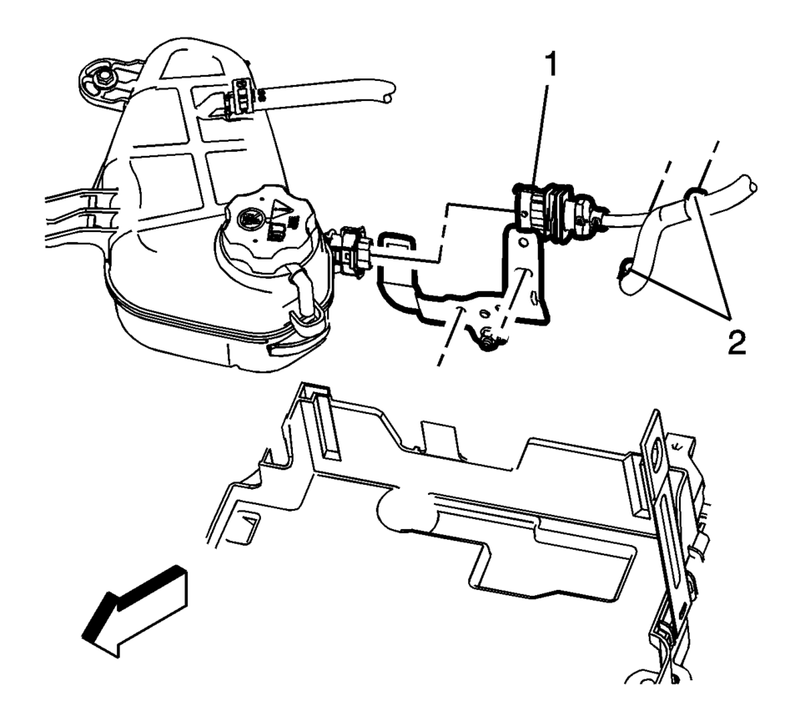 Remove the thermostat (1) and discard the seal (2). Fit the thermostat (1) to the thermostat housing using a NEW seal (2). 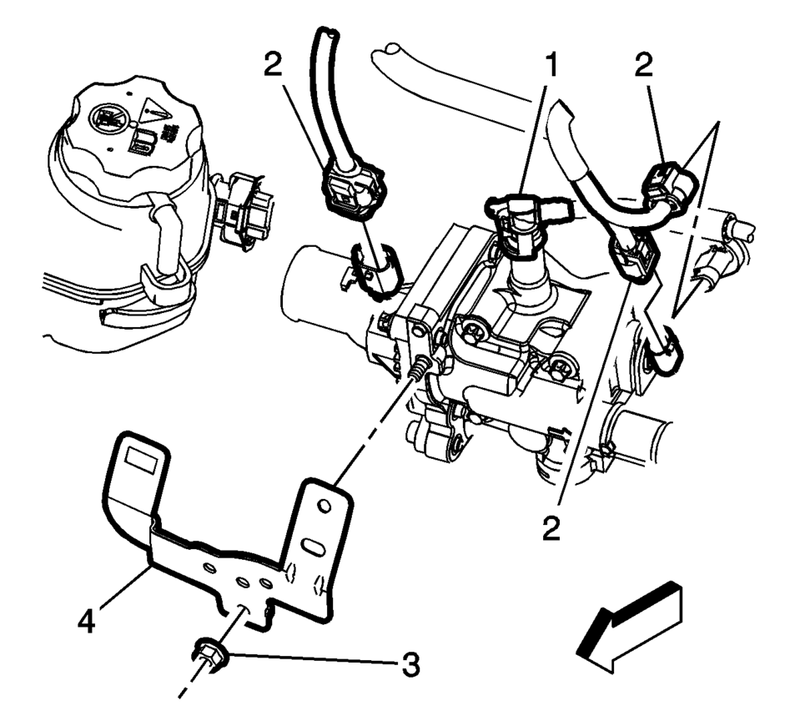 Install the radiator inlet hose (2) and connect the thermostat heating element sensor (1). Connect the engine harness connector (1) and harness retainers (2) to the bracket. Refill the engine cooling system. 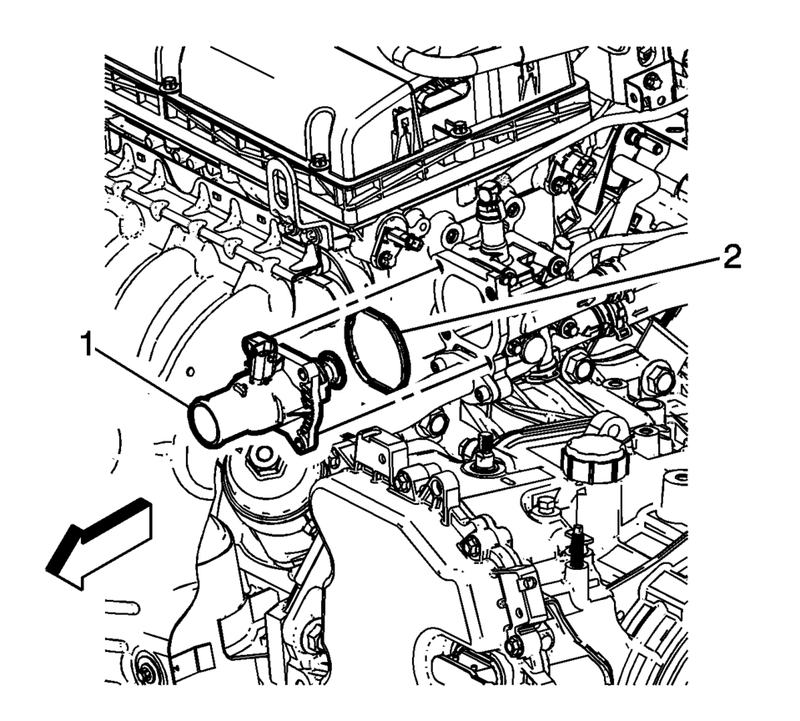 Refer to Cooling System Draining and Filling. Connect the battery negative cable. Refer to Battery Negative Cable Disconnection and Connection.